The Parkers succumbed to their fourth loss of the term, with a disappointing loss away to Eltham.  Slow starts have been Middle Park’s Achilles heel, and this game proved no exception; one down within ten minutes, after lazy marking. The Parkers improved midway through the first half, with Kenji impressing on the right. His creativity brought the best chance of the half, with Blane firing against the post. Eltham doubled their lead shortly before the break – poor control in midfield allowed the home side to break, and despite the striker looking offside, the goal stood. The Parkers were rarely threatened in the second half, controlling the majority of possession. Kenji had a goal dubiously ruled out for offside, though that was one of few chances. In the dying minutes, Wardy was hauled down in the box at a free kick. He then stepped up to score a consolation, but it was too little, too late. Further improvement from the men in yellow – looking solid and organised throughout, but the game was an opportunity missed for more points.